LD Entertainment Options ‘Hush, Hush’ Novels For The Big Screen!!! Official Press Release: On the heels of the publication of the final installment of Becca Fitzpatrick’s international best-selling series, THE HUSH, HUSH SAGA, LD Entertainment, the studio behind THE GREY and THE COLLECTION, has optioned the film rights to the four young adult novels. Patrick Sean Smith, creator of the acclaimed television series, “Greek,” will adapt the screenplay with production expected to begin in the fall of 2013. 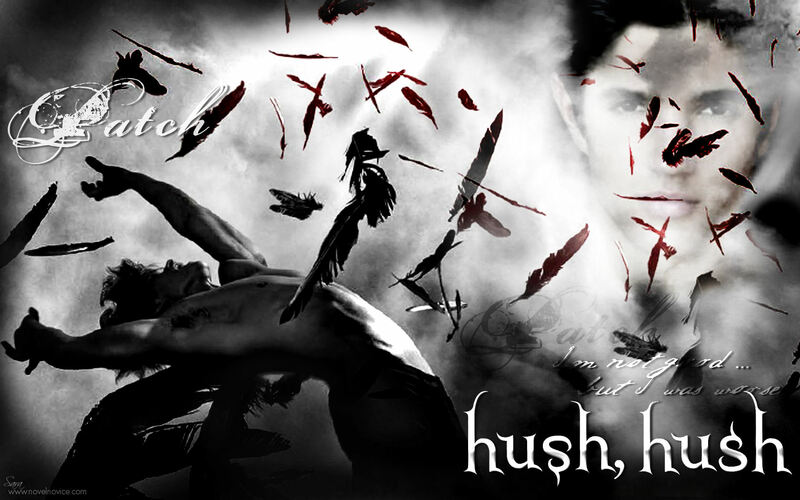 First published in 2010 by Simon & Schuster, HUSH, HUSH was on The New York Times bestseller list for 36 weeks and has been sold in over 35 countries with over two million copies in print in the US. Fitzpatrick wrote three additional novels with the final installment of the series, FINALE, which went on-sale on October 23rd, 2012. HUSH, HUSH centers on sixteen-year-old Nora Grey whose life quickly changes when she meets Patch, a mysterious new bad boy in school. Her instincts tell her to stay away from him, but Nora can’t help being drawn to his undeniable charm. As they get closer, Nora finds herself in dangerous inexplicable situations and begins to realize that Patch is actually a fallen angel with harmful intentions. This entry was posted on Thursday, December 6th, 2012 at 12:14 pm	and is filed under Film, News. You can follow any responses to this entry through the RSS 2.0 feed. You can skip to the end and leave a response. Pinging is currently not allowed. « ‘Tron’ Sequel Is Back On Track With Disney!!! What's another word for "love?" Oh, you know, the "I love you so much, I ain't knocking over a liquor store again" context. Except, you know... classy.